Creativity is a funny thing. It seems so elusive at the time, yet so obvious after the fact. Take the Beatles’ Abbey Road. It’s hard to imagine a world without it. Was there ever really a time when nobody had ever heard “Something” or “Octopus’s Garden” or “Here Comes the Sun?” It seems like those songs have always been around, but before 1969 none of that music existed. Beethoven’s Symphony No. 5 had to be created. Before 1804, no Beethoven’s Fifth. After 1804, Beethoven’s Fifth and the world is normal. Strange to think that before then, nobody had ever heard those famous opening bars. Same goes for the Mona Lisa, the Golden Gate Bridge, photocopiers, Google, churros, or sunscreen. One day they’re imaginary; the next day they’re indispensable. An internet meme points out that every book ever written (in English) uses the same 26 letters of the alphabet. Talk about information density! All the ingredients are right there: just 26 letters. All you have to do is arrange them in the right order and the entire history of literature is yours. Programming should be the easiest task of all. It’s just 1’s and 0’s. How hard can that be? Simply line them up in sequence and you can create a program to do absolutely anything you want. And if you don’t like having a 1 there, just swap it with a 0. You don’t even have to think about what to change it to. The code practically writes itself. Piece of cake. A monkey could do it. As any number of sculptors have supposedly said, you just chip away the stone that doesn’t look like an elephant/David/Venus de Milo. As Kevin Morris points out, designing an FPGA is much the same. You simply decide what your future customers want, as well as what they don’t want, and you make that. And because FPGAs are programmable, you can always change the features afterwards. That’s the beauty of programmability: it’s malleable and user-definable. You don’t have to fix every little detail. You’ve granted that flexibility to your customers. What a gift! The fact is, your customers are remarkably uncreative. They’re unimaginative. You have to tell them, in no uncertain terms, exactly what your product or service can do for them. You can’t rely on them to figure it out for themselves because – spoiler alert! – they won’t. They cannot connect the dots. Like Hansel and Gretel, they’ll get lost trying to follow your trail of well-laid breadcrumbs. This presents a problem to entrepreneurs designing new chips, new boards, new software, and new services. In short, to anyone involved in new-product development. And that problem is: Your customers don’t have a clue what you’re offering, nor do they care, nor will they spend any time at all figuring it out. In dog-training terms, you need to rub their noses in it. This can be harder than designing the product itself. You have to design a story around it – a narrative – that makes it sound attractive to your customers. In PowerPoint terms, you need to define the benefits, not just the features. I was once the head of marketing for a microprocessor company, and one of the cool things about our CPU was that the customer could customize it. How great is that? Pretty great, we thought, but our customers were largely unimpressed. They didn’t see the need to add or remove instructions, define custom registers, or alter the size of the pipeline. We were all pretty proud of our technology; the customers were just bewildered. So we took the baby step of outlining just what you could do with this new-found flexibility. “You can obfuscate your code with custom, in-house instructions that nobody else has. No one will be able to reverse-engineer your software!” Okay, that struck a chord with a few potential buyers. “You can accelerate your compression algorithm by defining a special multiply-add operation for your specific data type!” That convinced a few more. And so on. For us, it was frustrating to have to spell out every specific use case. 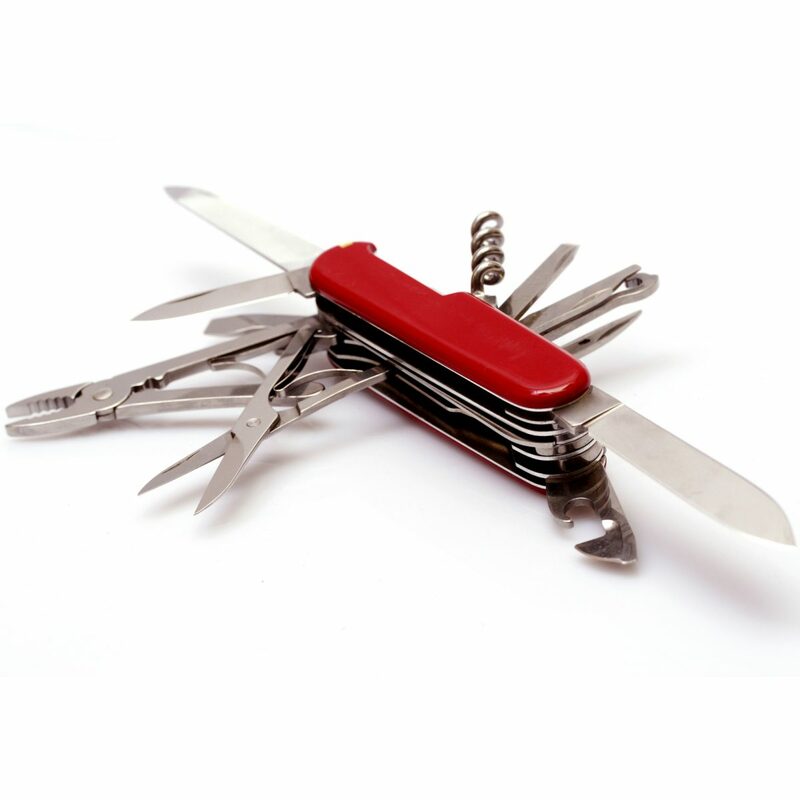 Can’t the customer see the benefit of customizable hardware? No, in fact, they can’t. I’m sure the first FPGA salesmen had the same problem. “It’s a floor wax! It’s a dessert topping! It’s whatever you need it to be!” Yeah, but does it have Ethernet? Uhh… You’ve never designed a car before. There’s probably a lot of structural engineering involved… and safety testing… and issues of weight balance, suspension geometry, interior volume, gas mileage, aesthetics, manufacturing costs, and who-knows-what else. The very last thing you want is a blank whiteboard. Wouldn’t it be easier to just stroll around the lot and pick out a car you like? Experienced salesmen know that confused customers don’t buy. So first, you need to un-confuse them. Don’t offer too many choices. Don’t conflate freedom of choice with multiple choice. And, most of all, don’t assume your customers share your imagination. Newborn babies startle when they’re not tightly wrapped. Treat your customers the same way. A blank canvas, the large box of crayons, a whiteboard, tabula rasa, all sound like good things. And if you’re painting for enjoyment, they probably are. But even famous artists paint something. They look at a landscape, or pose a model, or copy an earlier work – something to use as a starting point. To a novelist, the enemy is a blank sheet of paper. Don’t do that to your customers. Even if it means simplifying your product or service; even if it means underselling some of the flexibility you’ve built in; you’ve got to reduce your story – your “value proposition” – to a simply stated thesis. Buy this, get that. And leave the creativity to the graphic designers.